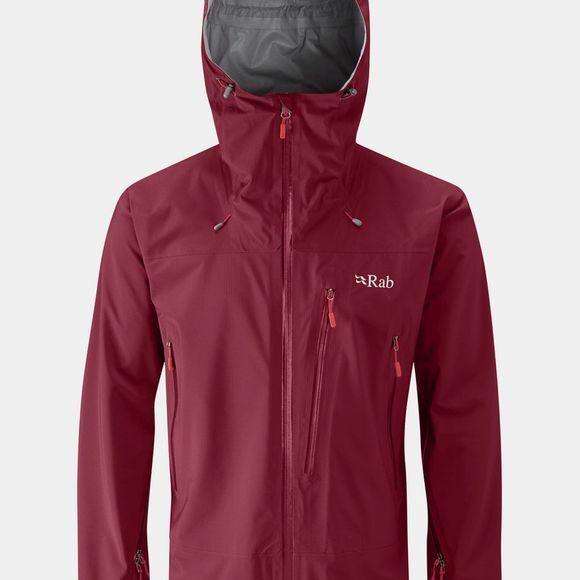 Suited to all year round use, Rab Men's Firewall Jacket is the perfect lightweight alpine waterproof shell for you. With 3L Pertex Shield fabric, you get excellent waterproof, breathability and stretch properties for when you're working hard in the great outdoors. Pit zips allows you to customise your own venting, whilst a helmet compatible hood and wired peak helps to keep your head protected from the elements and provides you with exceptional vision. Two handwarmer pockets and a large Napoleon chest pocket provides you with ample storage for your handheld devices and a comfortable place to warm your hands.